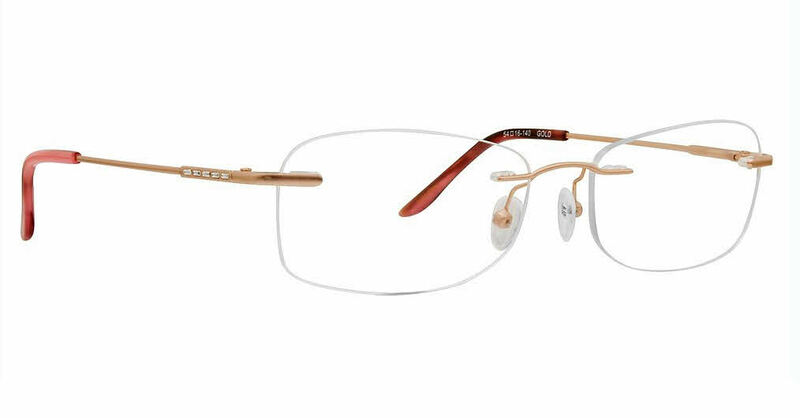 Totally Rimless TR 272 Serenity is a Rimless frame for Women, which is made of Metal. Totally Rimless TR 272 Serenity Eyeglasses come with a cleaning cloth and protective carrying case. I was a bit dubious because there weren't any reviews for this product and I always like to hear from someone else first. But I took the jump and glad I did. The rose gold color is very nice and neutral. A little bit of bling at the temples is a nice touch. These rimless glasses fit well and look great. Glad I made this decision.